This FREE Workbook is awesome for engaging children in fun learning activities. 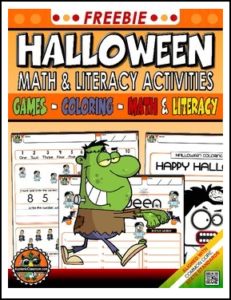 EACH PAGE IS DESIGNED WITH A HALLOWEEN THEME. Your student will have a great time completing each worksheet! GET SPECIAL ANNOUNCEMENTS: CONNECT WITH ME!